Vintage Adidas athletic wear from the 1970s. Hummel figurines collecting dust in your curio cabinet. Baby clothes and accessories left over from your children (who may or may not be on college now). What do all of these things have in common? 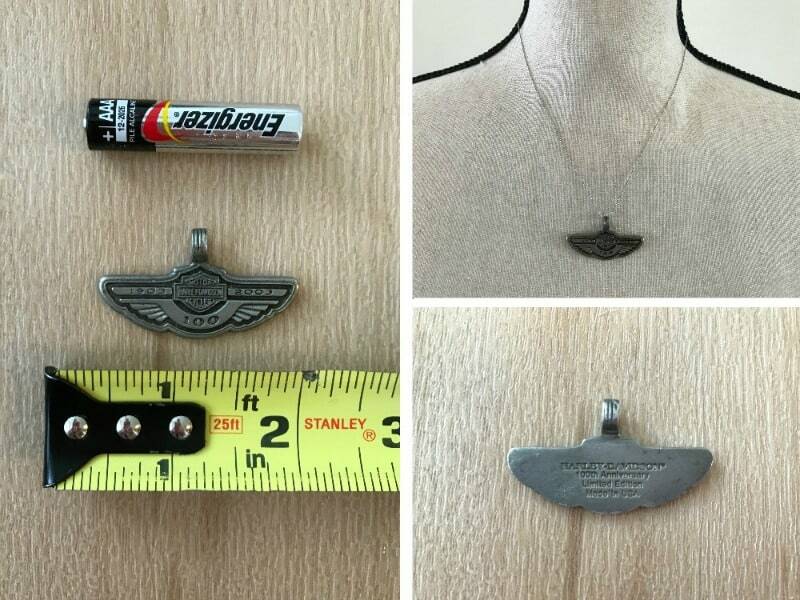 All of these items can be sold for good money on eBay! Find out how to sell on eBay and get maximum profits. 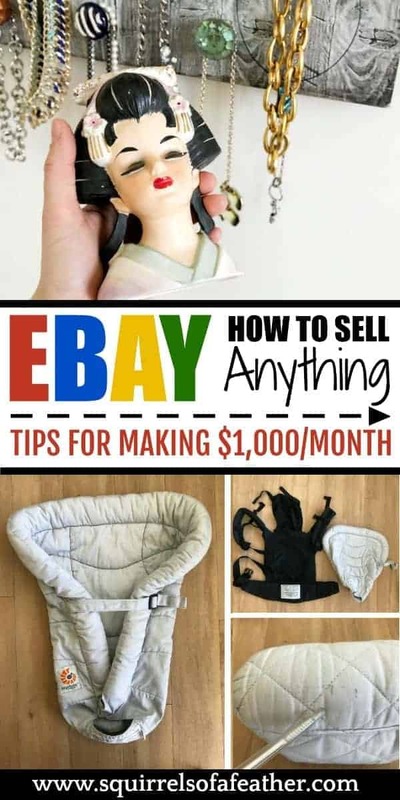 These eBay tips are helpful for people who would like to start making money selling off stuff that they don’t want and/or who are considering starting a thrift flipping business! A little background on me: I’m just an average mom who has made over $15,000 on eBay, simply by selling my clutter. 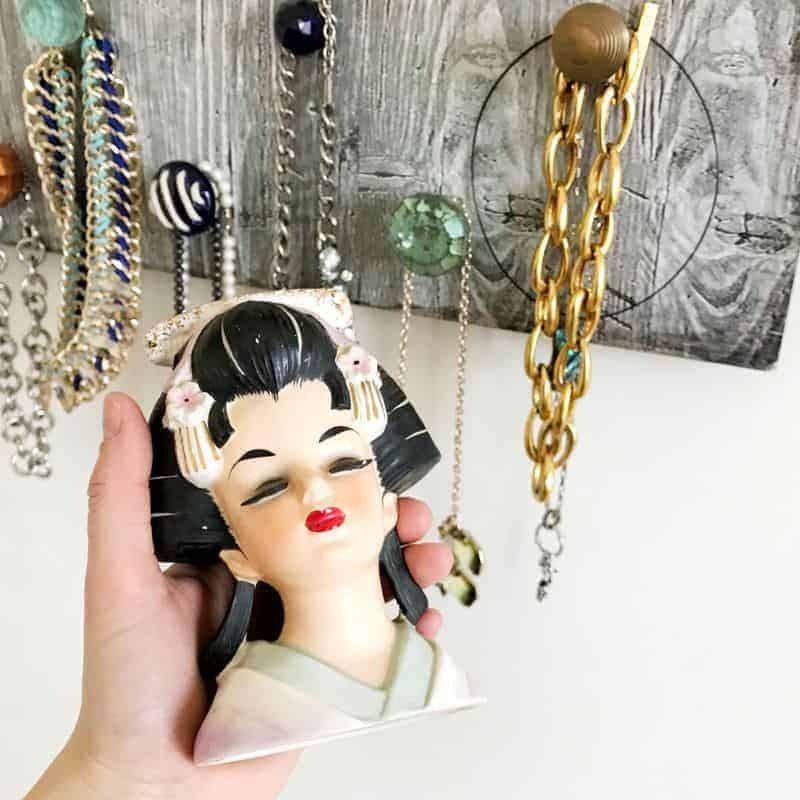 I started cashing in on my unwanted junk after a good old-fashioned decluttering session with the KonMari method (which you can read more about here if you are interested). 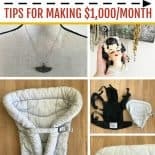 The first few months of selling (while I was still learning the ropes) I could count on bringing home anywhere from $400-$600 per month — not a bad side hustle for a mom selling her junk a few hours a week in between naptimes! I quickly realized how much money making potential there was and set up a shop. After setting up a store and putting a little more time I was able to start bringing in over $1,000 per month on eBay (and often more), all for just an hour or two of work every couple days! I loved seeing those big red PAID – SHIP NOW notifications on my account! 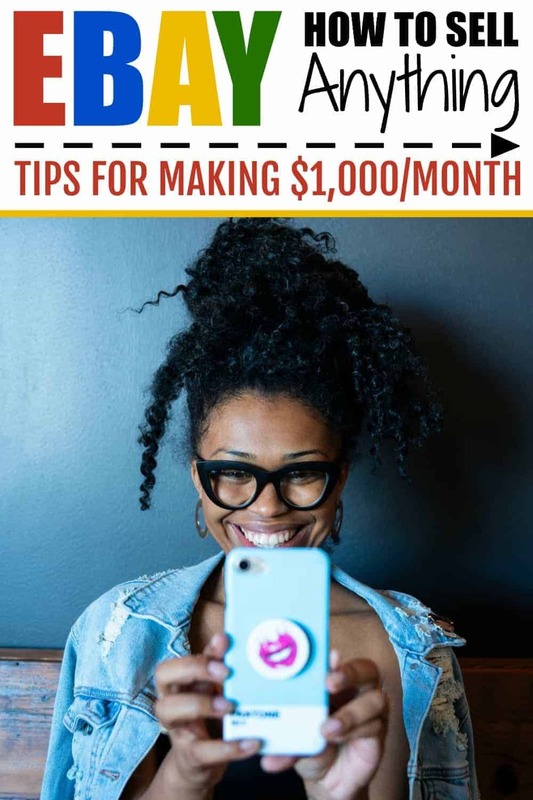 When I shifted my career focus to blogging, I realized my blog was the perfect platform to help others — even beginners — start making money on eBay. 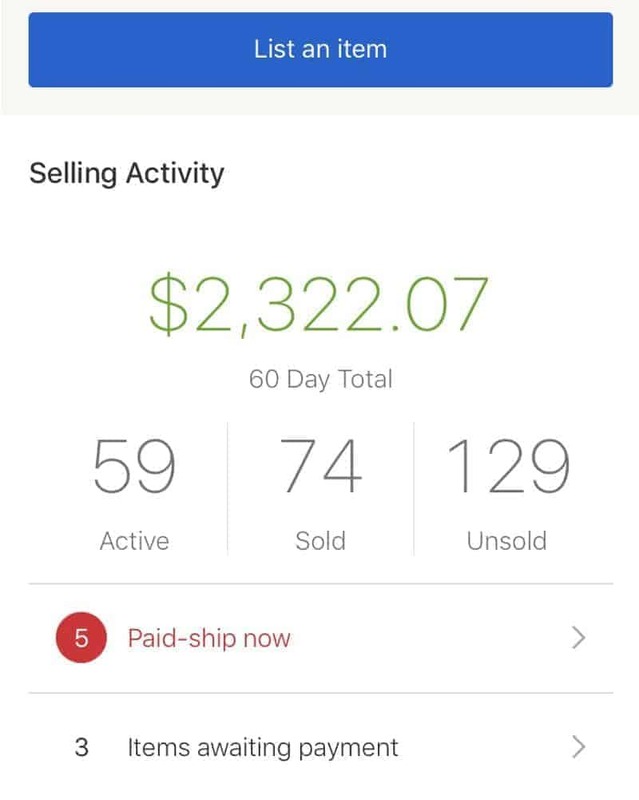 Here is a screenshot of a previous 60 day total — over $1,000 per month selling on eBay in my spare time! To sell on eBay you will first need to set up an account (if you already have a buyers account with eBay, you should still read this part to make sure that your account is set up properly for selling on eBay). If you don’t have an eBay account here is how to get started. Go to ebay.com and fill out your information with valid email and name. Choose an awesome name for your account; try to make it memorable and catchy. Avoid words that are offensive, unprofessional, have too many numbers, etc. (hotboi1998 would be a poor choice, for example). People will see your user name on listings and also when they message you with questions. Keep it pro, bro. If you plan on starting a thrift flipping business focusing on a particular type of item (i.e. baby items, vintage athletic goods, toys, cookware) try to choose a name that communicates what your store sells to potential buyers. Don’t get too hung up on this step — you can change your username later, as long as it isn’t taken by someone else. 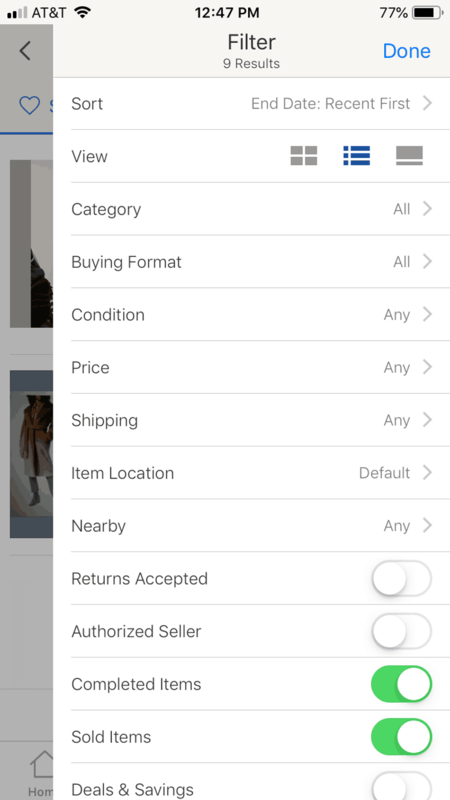 Download the eBay app – The eBay app makes it easy to take pictures, list items, and print shipping labels all in one easy location! 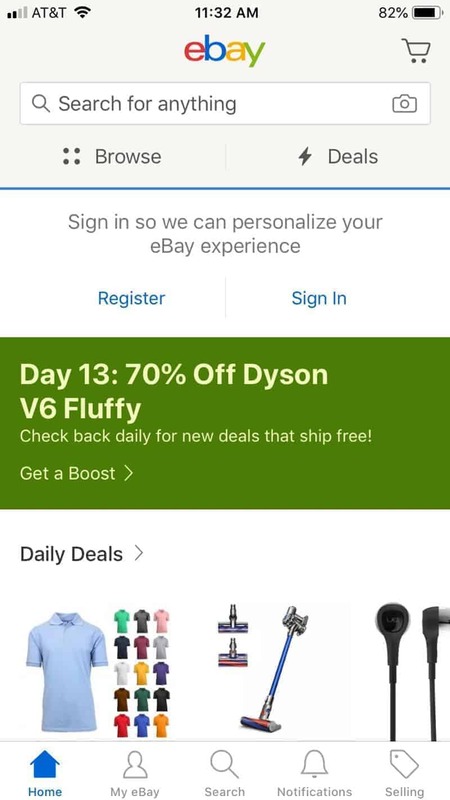 To download the eBay app, go to your phones app search and search for “eBay app”. Install and open to sign in and you are ready to start selling! Time to make like Bob Barker. Pricing eBay items correctly is a key step that trips up many new sellers. I get it, really I do. You want to receive top dollar for your items — but guess what? Buyers generally want to pay bottom dollar and they have lots of options and sellers to choose from, unless what you are selling is extremely rare. In truth, you can list any item for any price on eBay, the asking price doesn’t have to be realistic. I could list a worn out matchless left shoe with dog poop stuck on the bottom for one million dollars if I wanted! No one, I repeat NO ONE is going to pay for it. If you want your stuff to sell well on eBay, you cannot charge more than the total lum sum competitors are charging (that means the price of item + cost of shipping = total buyer cost). How do you know what other people are charging? 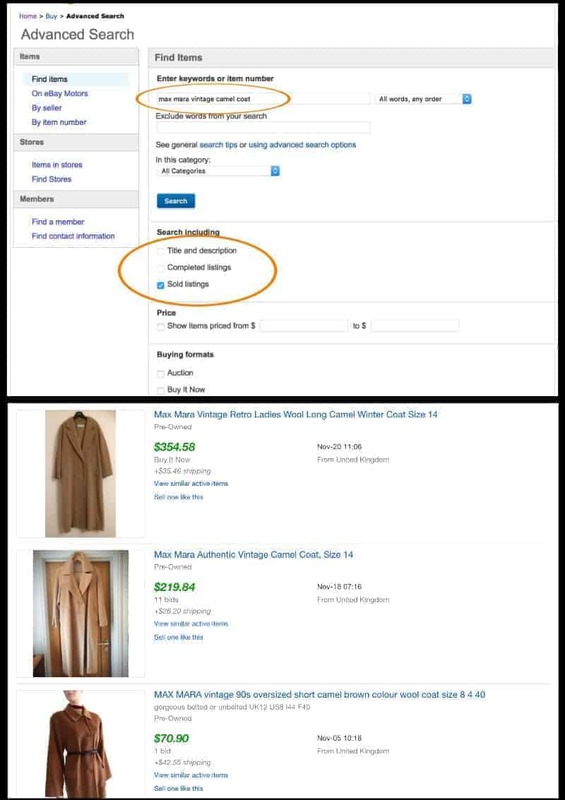 You used the eBay advanced search function, which we will discuss in the next tip. Before you list a single Starbucks mug on eBay you should first do some research. It pays to do research because a) you have an idea how much something is worth by what competitors are charging for it b) you don’t want to waste your time selling anything that isn’t worth your time. eBay makes it easy to check recent sale prices for any item; even if you can’t find the exact item you should still be able to get a reasonable idea for similar options. When researching prices it is important to search for items by SOLD PRICE and not by list price. As I mentioned before, anyone can charge any price on eBay but that doesn’t mean that it is going to sell for that price (no dog poop shoes). Remember, you can’t charge much more than a competitor for similar items unless your item is in better condition OR you have a much higher amount of excellent reviews as a Top Rated Seller. Once you identify a target price (remember, the sale price in green) or price range, you can move on to the next step; listing your item on eBay. Now, other experts may tell you that if you want to make money on eBay you need to open an eBay store — and I agree with that to a point. If you have a pre-existing account and have built up some positive reviews, even as a buyer, you may want to go ahead and open an eBay store. However, if you are just getting started on eBay with a brand new account I would recommend waiting to open a store until you get a few sales and reviews under your belt. Buyers on eBay have a lot of choices. If they see a big fat zero next to your user account reviews they will be less likely to purchase from you — that’s just how it! Put yourself in the buyers’ shoes; if you (as a buyer) are searching for something to purchase, whether it’s eBay, Amazon, etc, don’t you also like to see reviews from previous satisfied customers before you purchase? That’s why you should start first by selling desirable unwanted items you have lying around the house. You can get rid of stuff you don’t need anymore, make some money, and rack up some buyer reviews. As a new seller people will be less likely to purchase something from you than someone who has 50,000 positive reviews — so offer up attractive items at great prices! Even broken or non-functional items can be sold on eBay, as long as you are open and honest about the condition. People buy used and non-functional iPhones all the time to fix up or flip themselves. In fact, you can often make more money selling an item as parts versus the whole shebang. Take vacuum cleaners for example; they are large, bulky, and the shipping cost alone would eat up tons of your profit. Also, most people wouldn’t want to buy a non-working vacuum cleaner anyway! But what if you break that vacuum cleaner down into multiple usable parts? You can sell parts like the motor, cleaning attachments, hoses, filters, etc — often for the same price as a buyer a new vacuum cleaner yourself! Buyers are willing to pay a little bit more to get a replacement part since it saves them on the price of buying an entire item brand new (such as purchasing a replacement Dyson tool kit after losing yours during a move, rather than paying $500 for a brand new vacuum). 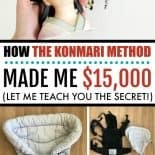 Besides being great for selling electronics and appliances, this method also works well for kids’ toys and accessories. For example, I was able to break down and sell all these different parts of an old Pack ‘n Play Playard for around the cost of a brand new PNP (retail price $80). If no one can find your item, then you certainly won’t be able to make money selling it! It is important to use keywords to describe your item so that people who are searching for exactly what you are selling can find your listing — and you only have 80 characters in your eBay listing title to do it, so you need to be strategic. Great title: Banana Republic Snow Leopard Italian Wool Cashmere Blend Shrug Bolero Small. If you are feeling stuck, take a moment to put yourself in your customer’s shoes. Pretend you want to buy the exact item you are listing — how would you search for it? What words would you use? Even after your listing goes live you can pretend you are a regular buyer looking for something like your item and run a search, then see how close to the top of the results your item displays. If you can’t find it at all, or it is really low in the results, you need to modify it. I have gotten listings to jump from the fifth page all the way to page one just by adjusting the keywords in the title. For the listing description, you are going to go into even more detail regarding the item you are selling. Restate all the information from your title in more detail. If you are selling clothing make sure to put in measurements, such as armpit-to-sleeve and inseam length. Write a description that will answer every single question a buyer could potentially ask so they don’t have to ask you at all. If pre-owned, what is the condition? Feel free to check other similar listings to see what kinds of details they put into their description if you need a starting point. You want to be TOTALLY honest with your buyers so that when they receive the item, they get exactly what they are expecting. This will reduce the possibility of a return as well as negative reviews on your account. Small flaws WILL NOT prevent a buyer from purchasing an item…for the right price. 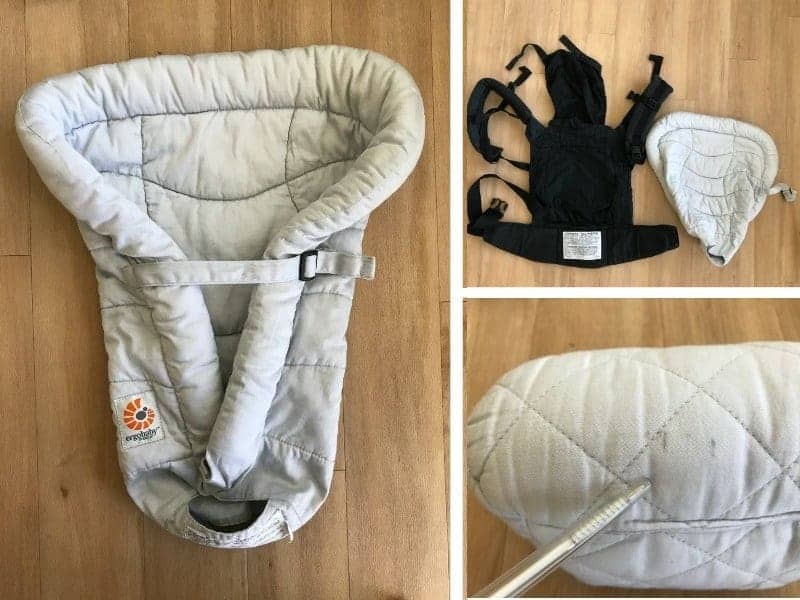 This used organic Ergo baby carrier with infant insert still sold for a pretty penny, despite some black marks on the insert which were indicated by pointing with a pen in the listing image. Get in touch with your inner photographer and try and make the pictures of your items beautiful. Again, think like a customer — what do you look for when buying a product? Remember, we shop with our eyes first! In general, you want the image to be clean, bright, focused, and clear of clutter, with a pleasing background (usually a light, neutral color like white to help the item stand out). Now is not the time to have your cat hair floating in the background or to have your lingerie hanging on a rack behind the item. If possible, display the item many different ways and give the buyer an idea of the sizing, if necessary. If you provide many images from every angle the buyer will know exactly what they are getting and you reduce the chances of returns or other issues. While eBay has an entire FAQs section dedicated to seller fees, often the easiest way to estimate the total amount of eBay fees you will pay is to use an eBay fees calculator like this one. Depending on how you answer each question the total cost can vary dramatically. When you list your item, you will have a choice between listing it as an auction or buy it now; however, there are also subcategories, such as having a “Buy it Now” option for your auction or adding a “Best Offer” option to your “Buy it Now” listing. Best Offer: if you add the best offer option within an auction-style listing, that means buyers can message you with an offer (usually lower) that you can then choose to accept or not. You also have the option of adding a reserve price to your listing but I typically avoid doing that for two reseasons. First, buyers want to know if they bid on something they actually have a chance of getting it. Second, adding a reserve price adds additional fees. One of the best ways to reduce fees and increase profit when selling on eBay is to minimize shipping costs. Depending on where you live, shipping will cost you more or less depending on the shipping method you choose. For example, if you live in New York and your buyer lives in California or Texas that is going to be more expensive than if you are shipping to neighboring New Jersey. If you aren’t careful it’s easy to let your profits get gobbled up by shipping costs and supplies. Try and keep packaging as light and as small as possible. The more your items weigh and the larger they are, the higher the shipping cost and the lower overall profit (remember, you can’t charge more than competitors for the same item). Package and weigh items BEFORE you list. Take all photos and then package and weigh the item before trying to list it. If possible, keep your shipping weight under 16 ounces. If you can keep your item and box under 16 ounces, it will qualify for First Class Shipping, which is a flat rate based on the weight and BY FAR the most cost efficient shipping method. You need to be able to specify the weight down to the ounce and going even one ounce over can make a difference of several dollars! Don’t fully tape the boxes closed until the item sells and you are ready to ship. Sometimes customers will ask questions that you can’t answer without removing the item from its box! Label your packages so you don’t forget what is inside of them! I like to write the listing in black Sharpie (just make sure to cover it with the shipping label before shipping so no one can read it later). ALWAYS use quality packaging so that your item arrives at the buyer’s location in perfect condition. This makes for great reviews and encourages repeat customers. Whenever possible, offer free shipping and roll the cost of the shipping into the total price of the item you are listing. People LOVE to see the word “free” next to shipping cost, even if the total price would be exactly the same for an item with shipping paid separately. In today’s modern world your buyers don’t just want fast shipping — they demand it! If possible, try and keep your shipping and handling time as low as possible while still being able to fulfill the requirements, every time. If you can’t send items quickly and stick to your time commitments eBay will actually penalize you in the algorithm and you also stand to lose business from buyers who will look for a seller who provides faster delivery. I always preferred to send packages either via First Class Mail or Priority Mail — the only exception would be books, DVDs, CDs, etc which could be sent via Media Mail. You could also make the shipment payment the responsibility of the buyer and allow them to choose their method or shipping. All of the items listed above are ones I personally use and recommend. My little rose gold Accutek scale goes up to 86 lbs and is incredibly precise (if you aren’t into pink, here is the black and silver version). If you plan on selling clothing on eBay mannequins are extremely useful. For selling tops and dresses choose a torso mannequin; if you plan to sell pants, you would choose a leg mannequin. In my experience, clothing that is displayed upon a mannequin sells better than clothing displayed on hangers or laid upon the floor — however, often the best option is to take plenty of pictures and list using a combination of all three methods! Choose a mannequin in the clothing size that you wear if you only plan on selling your own clothes — don’t worry, after you are done selling that mannequin can easily be sold on eBay as well! 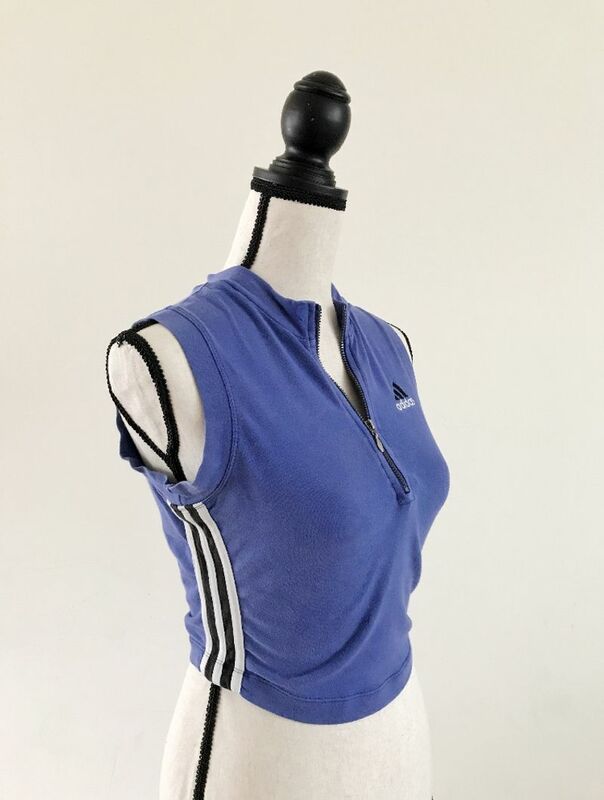 If you are considering selling clothes on eBay as a side hustle, you should consider getting an adjustable mannequin so that you can model all sizes of clothing. You’ve sold a few things and think you’ve gotten the hang of selling on eBay — are you ready to open an eBay store? How do you know if this is the right choice for you and what are the benefits of an eBay store? To enjoy lower fees for listing and selling items – When you list and sell an item the amount eBay charges you are less for store owners than regular sellers. Fewer fees mean more money goes into your pocket. Vacation hold – If you are going on vacation or have to take a break from selling store owners are able to temporarily “close” their store without penalty. Before I opened a store at one point we decided to go on vacation. I realized that if items were sold while I was on vacation I would still be expected to ship them on time, which obviously wouldn’t be possible. Since I didn’t have a store, I had to manually cancel every single item individually and relist upon our return. Not fun. Less listing limitations – Normal sellers without a store are only able to list up to 50 items per month before they will begin to incur additional fees. If you find yourself moving through inventory faster than your 50 monthly listings allow, it may be time to consider a store. Your phone is the most powerful selling tool you have in your eBay arsenal. 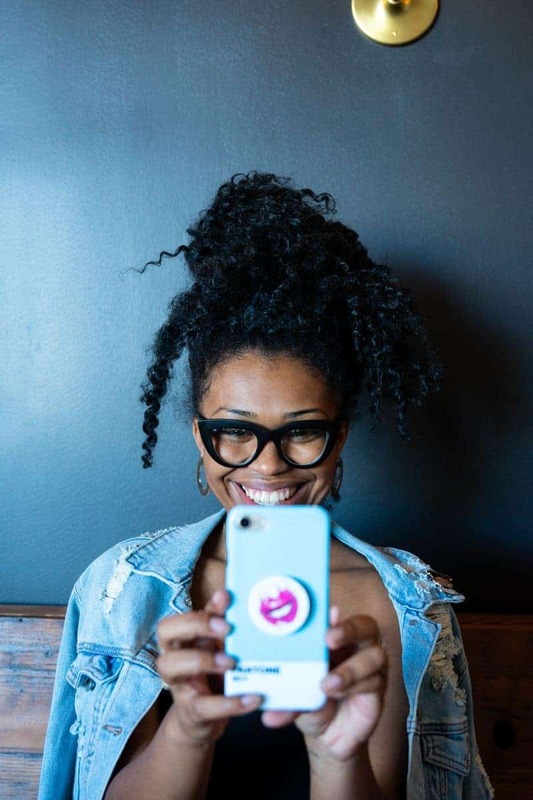 The eBay app makes it easy to research competitors, take pictures, list items, print shipping labels, and track your money all from one pocket-sized device. If the lighting in your house is so-so or pictures come out less attractive that you would like, you can use an app like Snapseed to crop and adjust the image. Just make sure your adjustments are true to condition and are used to enhance the image rather than distort in order to trick buyers. *Please remember – never ship the items until you have received confirmation of payment for it! As an eBay seller, you will need to deal with all sorts of issues and you should strive to stay calm and professional at all times. Always try to address any questions or complaints within the same day or by the very next day. Ask and run – People who ask questions then just disappear. eBay scams – There are all sorts of eBay scams. One I have encountered is a person who will purchase an item then ask you to send it to a different address that is listed on the account. That’s a no-no. Wishy-washy returns – Even if you state “no returns” eBay offers a generous return policy. You may get people who order something (generally clothing or shoes) and want to return it because it doesn’t “fit” despite you being clear about the measurements. eBay sellers can go back-and-forth in forums arguing about returns for hours, but in the end, you have to ask yourself if refusing a return instead of eating the cost is worth one negative review on your seller rating and make the choice for yourself. The eBay global shipping program is a great way to open up a wider pool of buyers all over the world. If you enable the Global Shipping option, all you have to do is print the shipping label, as usual, attach it to your item, and send it to the forwarding center in Kentucky. After that point, all shipping responsibility falls on eBay’s shoulders. If you have an item listed for free shipping under First Class Mail, not to fret. The free shipping covers the shipping to the shipping center and then the buyer will be responsible for all charges for international shipping thereafter. I have sent belts to Italy, sweaters to Korea, pens to Turkey, pillows to Puerto Rico, and more and I have yet to encounter a single issue. I do recommend that if you notice a buyer is overseas to message beforehand and make sure that you answer any questions that they might have especially if it is in regards to clothing or shoes, where fit can vary. Now get out there and start selling! Stop! Before you go, sign up for your free eBay checklist! Enter your information in the subscription box below and get access so you can print your “thank you” quickie eBay checklist today! Super helpful, as always. Your guides and tutorials are always precise and easy to follow. This ebay guide is amazing! LOVE this information. Thank you. Very helpful! You are very welcome, thanks for checking it out, Jeanne!